Galway has long since been known as "The City of the Tribes" given the multicultural vibrancy of present-day Galway. What makes Galway a wonderful place to stay is the atmosphere, the culture, the people, the events. 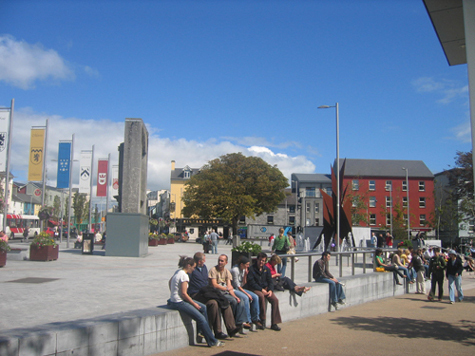 The pedestrian shopping area south of Eyre Square, is a pleasant place to walk around. At the south end of the pedestrian mall, is the Spanish Arch, one of the few remaining parts of the town's ancient defenses. The park adjacent to the arch is a popular place to sit and relax, while watching the Corrib flow out into Galway Bay. Copyright © 2019 Fil Franck Tours. All rights reserved. Website made by Mourad Zeggari.